Alfa Romeo has an alternative for those in the market for the likes of a MINI or Audi A1. The MiTo is in many ways a story of missed opportunity. When it was launched, the world was still going nuts for compact premium hatchbacks. MINIs were selling by the bushel, Citroen’s DS3 was pulling in many a punter, Audi was gearing up to produce the A1 and there were rumours that even mighty Mercedes-Benz was going to make a sporty model smaller than the A-Class. It still might in fact. Into all of that, Alfa Romeo decided to follow the logical path and used the platform-sharing potential of the Fiat Grande Punto (itself only introduced two years previously) to create a quick-solution MINI rival. It was supposed to herald a new dawn for Alfa (how many times have we heard that?). It was supposed to be a big-selling entry point to a famous brand for new, hip, urban customers. It was supposed to have a five-door version too. It was launched just as the banking crisis and subsequent horrible recession swept across Europe and Alfa’s bank account. It’s a better car than that though, and one that never got the sales and recognition it deserved. There has only ever been one body style for the MiTo – a compact, three-door hatchback. In that sense, it’s not unlike the MINI (until recently anyway) and DS3, but it does lack therefore the extra practicality you can have with five-door Sportback versions of the Audi A1. It follows the Alfa styling language of the time, which tried to transpose the styling of the larger, sleeker 8C sports car onto a rounder, compact hatchback frame, but it’s not un-pretty. Quite distinctive in fact. Inside, you’ll quickly spot some similarities with the Fiat Punto in terms of the switches used and the plastics on display – it’s not as well-appointed inside as MINI or Audi rivals, but it’s actually quite robust and the cabin is made livelier by such as the big, chromed DNA switch (which allows you to switch between Dynamic, Normal and All-Weather modes for the steering and engine) and dials labelled in traditional Italian script. Benzina, Aqua and Giri sound so much more romantic than petrol, water and revs. Originally, the MiTo came with a choice of 75hp 1.4 naturally aspirated petrol and a turbo 1.4 in 140- or 170hp forms. There was also a 95hp 1.3 MultiJet diesel and latterly a 1.6 diesel with 120hp. More recently the 105hp 900cc two-cylinder TwinAir turbo petrol engine has also been offered. Most have five-speed manual gearboxes, with six speeds for the 1.4 Turbos. An optional TCT dual-clutch automatic was available but few were sold. It’s not a bad car to drive, the MiTo, but perhaps not as thoroughbred as you’d like or expect of a car wearing the famous Milanese badge. The steering is a little too light and numb, the suspension a little too bouncy and noisy and it lacks the sharpness of a MINI Cooper or the refinement of an Audi A1. That said, it’s small, light and has relatively punchy engines so there’s no shortage of fun, and interior options such as gorgeously upholstered leather seats, with the Alfa badge embossed on the headrests, make it feel like something a little more special than the too-common MINI. It’s actually quite practical too. The lack of rear doors probably harmed the MiTo’s sales prospects in a market segment that quite likes practicality, but it’s surprisingly roomy in the back (certainly good enough for kids until they become lanky and disagreeable teenagers) and the boot, although relatively small at 270 litres, is deep and square. 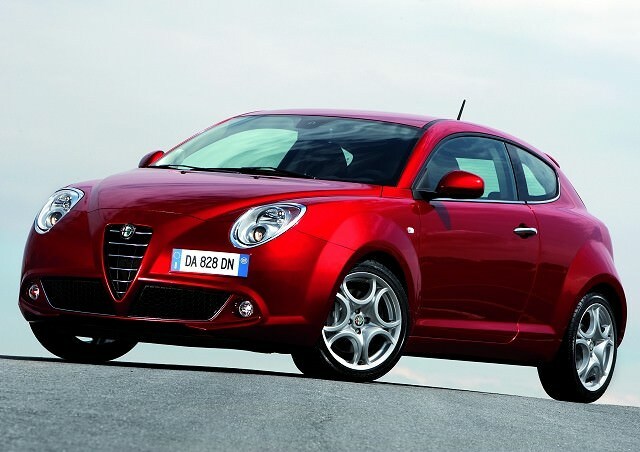 Everyone frets about Alfa Romeo reliability, but the MiTo doesn’t seem to suffer too badly. Small electrical niggles (wipers, central locking and electric windows mostly) seem to be the only recurrent issues, while such as the engines and gearboxes are also found in the Punto and we haven’t heard horror stories of any major faults. If you can track down a 1.3 MultiJet diesel it offers a pretty good balance between performance, price and economy, but they’re very hard to find and the effort may outweigh the reward. Instead, the 1.4 Turbos make the right noises and feel appropriately brisk for an Alfa but they can be thirsty. Best all-rounder then is the 75hp 1.4 petrol, which is the most numerous version sold and has adequate power and acceptable running costs. Model trims were divided into Lusso, Sportivo and QV (Quadrifoglio Verde) or Cloverleaf, which was the sportiest model. Most that you will find will be Lussos but if you can find a Sportivo with the optional leather trim, you’ll have something that looks and feels a bit more special. The optional ‘Phone Dial’ alloys really help to lift the MiTo’s looks too. It’s a shame that the MiTo never got to strut its stuff at the top of the sales charts – Fiat-based it may be but it carries off the Alfa swagger surprisingly well and it’s an interesting (and rare) alternative to the more populous MINI.